Nepal as some of you know if a little country landlocked by India and China and boasts the world’s highest mountain Mt. Everest. What I didn’t really consider was that with the highest mountain in the world this country boasts mighty rivers and waterfalls. This is very true: Nepal has the greatest water supply next to Brasil. Nepal has the capacity to supply electricity to its entire country but unfortunately it exports 60% of its power to India and only keeps 40%. Potentially Nepal could do much more in terms of creating hydroelectricity but due to its geography it makes it very difficult to transport materials into the mountainous regions to develop more dams and power lines. I am reading the book “The End of Poverty” by Jeffery Sachs which has been very insightful. In his book he gives the different reasons for countries living in a poverty trap one of them which includes geography. The stunning mountains and valleys of Nepal unfortunately make it very difficult for this country to develop. Tourism such as trekking, rafting, kayaking, biking are restricted to 3 main areas (Annapurna, Langtang and Everest) but that is all. Driving from Kathmandu to Pokhara, the main starting point for trekking, the road twists and winds along steep mountain passes and valleys on a “highway” that is only single lane. To build roads through the terrain of this country is a huge challenge. On the way back from my trek to Annapurna Base Camp, which I will comment on my next blog, I sat next to the statistical reporter for the Health Sector for all of Nepal. It’s funny how things work out because I was so close to taking the local bus but decided last minute not too and lo and behold I got to spend the trip back next to a man who gave me a rundown of everything I wanted to know about Nepal. 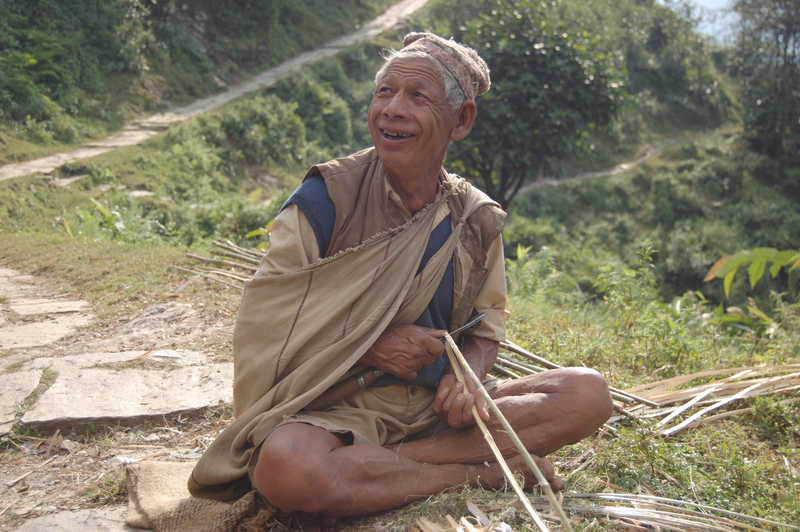 In terms of health care in Nepal there are the rural villages which are classified between 2,000 and 10, 000 people, and the cities which are anywhere over 10, 000 in population. For every 1,000 people in the rural villages there are 2-3 health workers. There are no doctors in the rural villages due mainly to lack of doctors, low incentive to go somewhere where there are limited resources and materials, and the high rate of doctors leaving Nepal to western countries where there is better opportunity for them. For the cities, there are 6 doctors for every 10,000 people. But according to this man there has been progress in health education and in schools and little by little, mountain step by mountain step, this country will be able to offer accessible health care to everyone. Unfortunately much of the country’s money was spent during the Civil War in 1995 and it has been a slow process in building this country back up. Nepal is not as underdeveloped as I anticipated. In the mountain villages in the Annapurna region there is electricity and running water, the only challenge is transportation which is limited to pack horses and man power. Nepal is a stunning country which has blown away my expectations. Whenever I tell a Nepali how beautiful their country is they are very proud of it which is always encouraging to see. I hope to write shortly on my experience in the mountains.